As I mentioned a few days ago in my Top 10 Treo Accessories post, Treo skin cases have remained among the single most popular items in the overall cases category. Now the new Treo 750 UltraSlim Skin Case and Treo 680 UltraSlim Skin Case (pictured below) have finally been released and are available in a choice of four colours – Frosted Clear, Lady Pink, Executive Grey and Future Blue. Like previous models, the UltraSlim Skin Case offers extensive protection against scratches with half the thickness of other models and also more grip while holding your Treo thanks to the rubber’s natural anti-slip properties. What sets the UltraSlim Skin Case apart is the enhanced keyboard profile (below) which answers a specific complaint that I had about previous models whose skin was raised too high above or next to the keyboard and impeded easy typing. Here the manufacturer has clearly taken note and made unencumbered access to the keyboard a design priority and it works extremely well. Additionally, the detail of the cutouts such as the miniSD slot, camera, mute switch, stylus and connectors as well as the cover of the side buttons have been similarly carefully designed to fit just right. Overall I found the Treo 750 UltraSlim Skin Case and Treo 680 UltraSlim Skin Case to be impressive and I wish that other Treo accessories manufacturers would demonstrate the same level of effort in their designs. I may not personally be a big fan of skin cases in general but I can nonetheless appreciate when someone has done things right. Do you know if this skin case will allow the phone to fit in the Seidio holster that you wrote about a few weeks ago? How hard is it to remove and put back on when it's time to swap out a battery? My issue with skin cases -- which never seems to make reviews is that of having to reset the phone (or change the battery). The last skin I bought only lasted through one or maybe two removals before it was stretched too far out of shape to be useful. 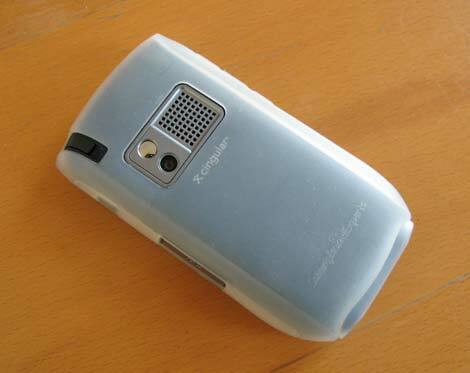 Do you know about a skin case for the 680 with the extended battery cover? So, anyone know if this skin case is meant to be the 680 one as well or are they coming out with one specifically for the 680? The reason I ask is because the SD card slot seems to be mini in the 750 while it is just a regular SD in the 680, whose slot is bigger. I would also love to get more feedback on the stretching out of the case when battery needs to be removed. dirk - I would say that it's 'moderately' easy to place and remove the skin. Having done it a number of times I certainly didn't feel (like previous models) that it was a 'pain'. Steve - I also had very poor previous experiences with skins breaking quickly. However these new models have a much more solid and lasting rubber compound. I have yet to break one of these. 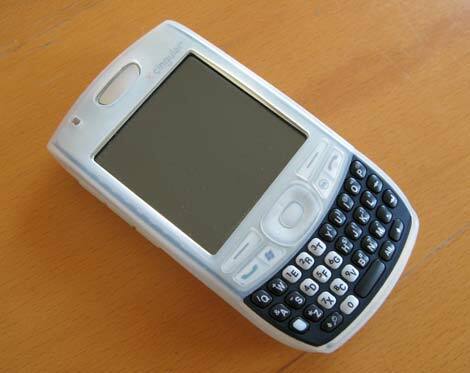 Dean - there is a skin case specifically designed for the Treo 680 coming out with the next couple of days. I bought one and very happy with it. Very easy to take on and off to do a reset or battery change. My last one took about five minutes to get my Treo in and out. It was almost like watching a baby being born. I highly recommend this case and you should be very happy with it.